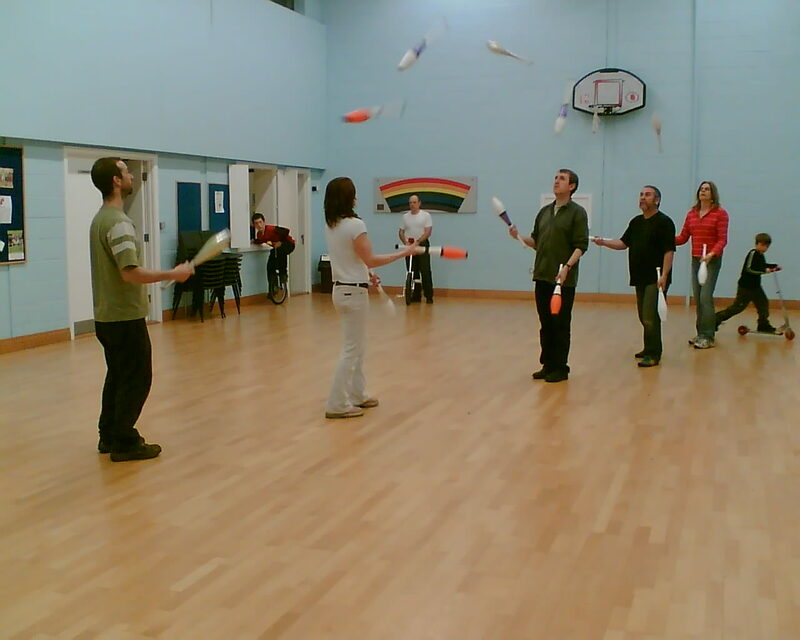 Cheltenham juggling club has been meeting since 1988. The hall is immediately behind the church and has a car park. A range of equipment is available - beginners welcome.